Bu çalışmanın amacı turunçgil kabuğundan elde edilen liflerin ters fazlı yüksek basınçlı sıvı kromatografisi yöntemi ile flavonoidlerinin belirlenmesidir. Ayrıca, bu çalışmada turunçgil kabuklarından lif hazırlanırken kullanılan normal veya sıcak yıkama işlemlerinin toplam fenol miktarı, toplam flavonoid miktarı, toplam karotenoid miktarı ve oksijen radikal soğurma kapasitesi değerine etkisi araştırılmaktadır. Kullanılan HPLC metodu çoklu metoksiflavon ve flavanollerin ayrılmasını sağlayan ve hızlı sonuç veren bir yöntemdir. Kuersetin, kemferol, sinensetin, nobiletin, heptamethoksiflavon ve tangeretin belirlenmiştir. Nobiletin 3.33 mg/g kuru ağırlık ile en yüksek miktarda bulunan flavonoiddir. Sinensetin 1.96 mg/g kuru ağırlık ile, heptametoksiflavon ise 1.24 mg/g kuru ağırlık ile takip etmektedir. Sıcak yıkama veya normal yıkamanın toplam flavonoid içeriği ve toplam karotenoid içeriğine etkisi görülmemiştir (P >0.05). Ancak, toplam fenolik madde ve oksijen radikal soğurma kapasitesi değeri sıcak yıkama yapılan liflerde daha düşük bulunmuştur (P < 0.05). The objective of this study is to evaluate the presence of flavonoids in citrus fıber using reverse-phase high-pressure liquid chromatography (RP-HPLC). In this study, we also investigate the effect of regular and hot-washing preparations on total polyphenol content (TPC), total flavonoid content (TFC), oxygen radical absorbance capacity (ORAC) and total carotenoid content (TCC) of citrus fiber. The HPLC method used provided fast results and good separation for polymethoxyflavones and flavonols. Quercetin and kaempferol (flavonols), and sinensetin, nobiletin, heptamethoxyflavone, and tangeretin (polymethoxyflavones) were identified. Nobiletin had the highest concentration with 3.33 mg/g dry weight followed by sinensetin (1.96 mg/g dry weight) and heptamethoxyflavone (1.24 mg/g dry weight), respectively. The TFC and TCC of citrus fiber were unaffected (P >0.05) by the citrus fiber production procedure; however, the TPC and the ORAC values of citrus fiber prepared using hot-washing were significantly lower (P < 0.05). Bocco, A., Cuvelier, M-E., Richard, H., Berset, C. (1998). Antioxidant activity and phenolic composition of citrus peel and seed extracts. J Agric Food Chem, 46: 2123-2129. Davalos, A., Gomez-Cordoves, C., Bartolome, B. (2004). Extending applicability of the oxygen radical absorbance capacity (ORAC- Fluorescein) assay. J Agric Food Chem, 52: 48-54. Fernandez-Lopez, J., Fernandez-Gines, J.M., Aleson-Carbonell, L., Sendra, E., Sayas-Barbera, E., Perez-Alvarez, J.A. (2004). Application of functional citrus by-products to meat products. Trends Food Sci Technol, 15: 176-185. Ghasemi, K., Ghasemi, Y., Ebrahimzadeh, M.A. (2009). Antioxidant activity, phenol and flavonoid contents of 13 citrus species peels and tissues. Pak J Pharm Sci, 22: 277-281. Gorinstein, S., Martin-Belloso, Q., Park, Y.S., Haruenkit, R., Lojek, A., Ciz, M., Trakhtenberg, S. (2001). Comparison of some biochemical characteristics of different citrus fruits. Food Chem, 74: 309-315. Green, C.O., Wheatley, A.O., Osagie, A.U., Morrison, E.Y.S.A., Asemota, H.N. (2007). Determination of polymethoxylated flavones in peels of selected Jamaican and Mexican citrus (Citrus spp.) cultivars by high-performance liquid chromatography. Biomed Chromatogr, 21: 48-54. Kaul, T., Middleton, E., Ogra, P. (1985). Antiviral effects of flavonoids on human viruses. J Med Virol, 15: 71-79. Kawaii, S., Tomono, Y., Katase, E., Ogawa, K., Yano, M. (1999). HL-60 Differentiating activity and flavonoid content of the readily extractable fraction prepared from citrus juices. J Agric Food Chem, 47: 128-135. Lario, Y., Sendra, E., Garcia-Perez, J., Fuentes, C., Sayas-Barbera, E., Fernandez-Lopez, J. (2004). Preperation of high dietary fiber powder from lemon juice by-products. Innov Food Sci Emerg Technol, 5: 113-117. Larrauri, J.A. (1999). New approaches in the preparation of high dietary fibre powders from fruit by-products. Trends Food Sci Technol, 10: 3-8. Lee, H.S. (2001). Characterization of carotenoids in juice of red navel orange (Cara Cara). J Agric Food Chem, 49: 2563-2568. Li, B.B., Smith, B., Hossain, M.M. (2006). Extraction of phenolics from citrus peels I. solvent extraction method. Sep Purif Technol, 48: 182-188. Lin, J-Y., Tang, C-Y. (2007). Determination of total phenolic and flavonoid contents in selected fruits and vegetables, as well as their stimulatory effects on mouse splenocyte proliferation. Food Chem, 101: 140-147. Lutz, M., Hernandez, J., Henriquez, C. (2015). Phenolic content and antioxidant capacity in fresh and dry fruits and vegetables grown in Chile. 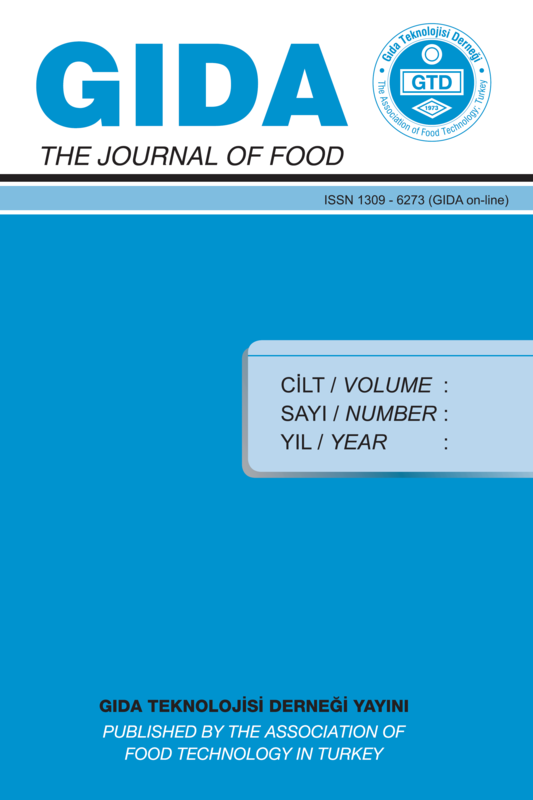 CyTA – J Food, 13(4): 541-547. Manthey, J.A., Grohmann, K. (1996). Concentration of hesperidin and other orange peel flavonoids in citrus processing byproducts. J Agric Food Chem, 44: 811-814. Nogata, Y., Sakamoto, K., Shiratsuchi, H., Ishii, T., Yano, M., Ohta, H. (2006). Flavonoid composition of fruit tissues of citrus species. Biosci Biotechnol Biochem, 70(1): 178-192. Rodriguez, R., Jimenez, A., Fernandez-Bolanos, J., Guilen, R., Heredia, A. (2006). Dietary fibre from vegetable products as source of functional ingredients. Trends Food Sci Technol, 17: 3-15. Rodriguez-Saona, L.E., Wrolstad, R.E. (2001). Acetone extraction and chloroform partition of anthocyanins. In: Current protocols in food analytical chemistry, Volume 2. John Wiley & Sons, Inc., New York, p F1.1.1. Ross, S.A., Ziska, D.S., Zhao, K., ElSohly, M.A. (2000). Variance of common flavonoids by brand of grapefruit juice. Fitoterapia, 71: 154-161. Sankalpa, K.B., Ramachandra, C.T., Dinesha, B.L., Nidoni, U.K., Sharanagouda, H., Beladhadi, R.V. (2017). Effect of different drying and grinding methods on biochemical properties of sweet orange peel powder. Asian J Dairy Food Sci, 36(3): 260-263. SAS. 2011. Base SAS 9.3 Procedures Guide. NC, USA. Saura-Calixto, F. (1998). Antioxidant dietary fiber product: A new concept and a potential food ingredient. J Agric Food Chem, 46: 4303-4306. Shalaby, N.M.M., Abd-Alla, H.I., Ahmed, H.H., Basoudan, N. (2011). Protective effect of Citrus sinensis and Citrus aurantifolia against osteoporosis and their phytochemical constituents. J Med Plants Res, 5: 579-588. Sun, Y., Wang, J., Gu, S., Liu, Z., Zhang, Y., Zhang, X. (2010). Simultaneous determination of flavonoids in different parts of Citrus reticulata ‘Cachi’ fruit by high performance liquid chromatography – photodiode array detection. Molecules, 15: 5378-5388. Tripoli, E., Guardia, M.L., Giammanco, S., Majo, D.D., Giammanco, M. (2007). Citrus flavonoids: Moleculer structure, biological activity and nutritional properties: A review. Food Chem, 104: 466-479. USDA. 2013. Citrus Fruits 2013 Summary. USDA, National Agricultural Statistics Service. Vanamala, J., Reddivari, L., Yoo, K.S., Pike, L.M., Patil, B.S. (2006). Variation in the content of bioactive flavonoids in different brands of orange and grapefruit juices. J Food Comp Analysis, 19: 157-166. Wang, Y-C., Chuang, Y-C., Hsu, H-W. (2008). The flavonoid, carotenoid and pectin content in peels of citrus cultivated in Taiwan. Food Chem, 106: 277-284.